Martellus Bennett is among the huge list of people who have dissed Jay Cutler, but after watching the quarterback lead the Bears to victory, the tight end started to come around. When asked if Cutler is too often criticized, Bennett compared him to Jesus. 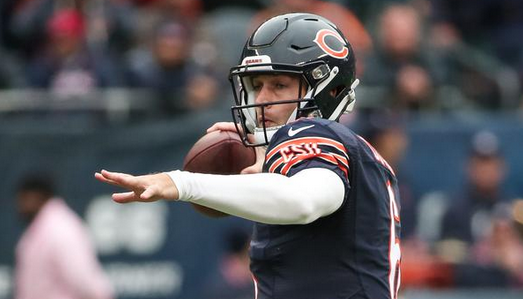 In Chicago’s win, Bennett caught 11 passes from Cutler, including a touchdown. The Bears moved to 1-3 on the season. We’ll see how Matellus feels after next week.